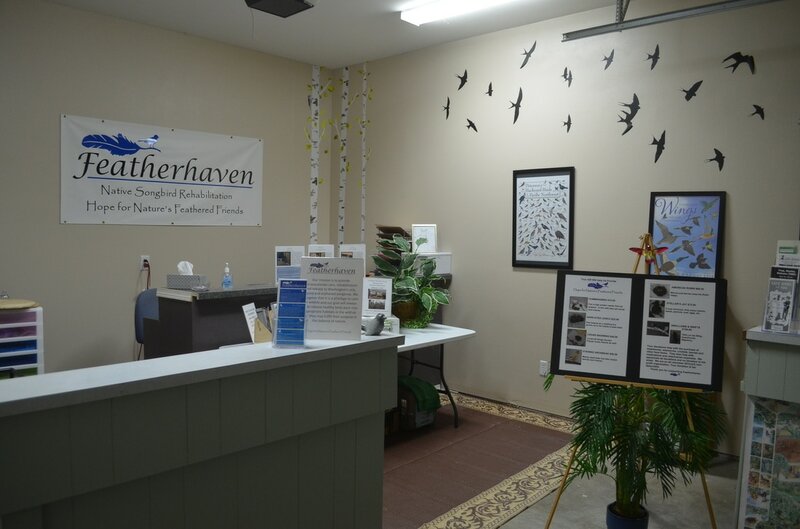 Featherhaven opened on July 1, 2014 in Enumclaw to care for Washington’s native songbirds. We are licensed and permitted with Washington State Fish and Wildlife as well as the U.S. Fish and Wildlife Service. Throughout the year, we rehabilitate injured and orphaned wild birds with the goal of ultimately releasing them into the wild. We are strictly a volunteer organization, which means we need volunteers and during the summer months we need lots of them! Baby season (May through August) is always the busy time in any wildlife rehabilitation center. If you would like to be a part of this growing organization please visit our volunteer information page. There are many different volunteer opportunities available; everything from bird care, cleaning, food prep, educational programs and gardening. We will provide the training; you just need to bring a caring heart and a willingness to be a team player. Featherhaven is a 501(c)(3) charity, has no paid employees and receives 100% of its funding through grants, fundraising effors, and (most importantly) donations from caring individuals like you. Your donations are tax deductible. Kelley Ward, licensed Wildlife Rehabilitator and founder of Featherhaven, is passionate about all wildlife but believes that she can best serve Washington's wildlife by focusing on one particular species and that her knowledge and talents are best suited to our native songbirds. To be successful we need the support of the community through donations and volunteers. We hope you will consider supporting our efforts in whichever way you can. Our feathered friends thank you!